Kinstone is open to visitors May 1 – October 31, 10am to 6pm daily. Admission is $5 per person. Kinstone is a 30-acre haven of peaceful beauty filled with stone sculpture, natural buildings, restored native prairie, oak savanna and spectacular views over the Mississippi River. Located outside of Fountain City, Wisconsin, and just over 2 hours southeast of the Minneapolis/Saint Paul airport or 3 hours from Madison, you can enjoy the tranquility of this one-of-a-kind place on a day trip or plan to visit when staying in this beautiful region. 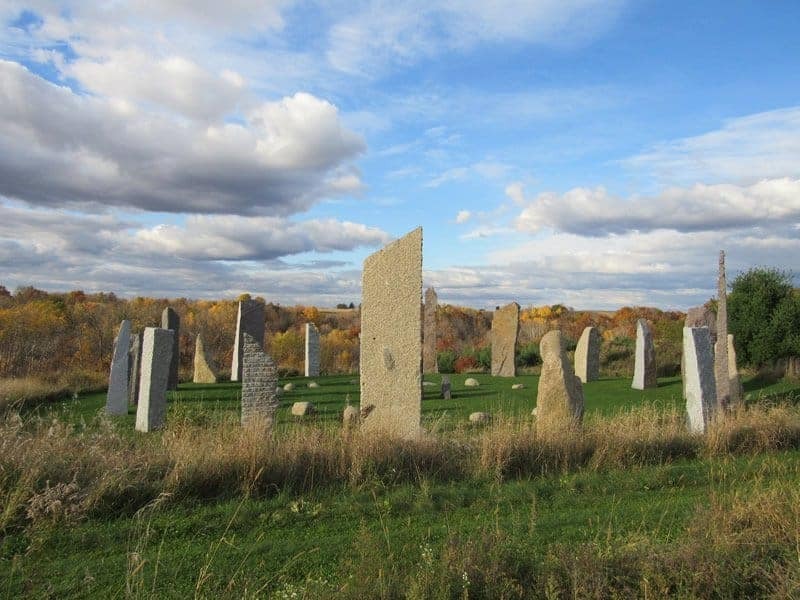 This modern megalithic site with its three stone circles, dolmen, labyrinth, thatched cordwood chapel and more just may be the most magical way-stop along the Wisconsin Great River Road. Visit Kinstone to immerse yourself in the wonders of the earth and experience the power of the land and sky to transform and renew. 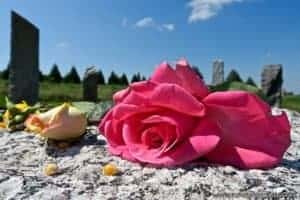 This place may help you to feel more connected to nature; you may find yourself feeling personally refreshed, renewed, and more open to spiritual growth and healing. Kinstone is open to visitors May 1 through October 31, 10am to 6pm daily. Admission is $5 per person. At Kinstone, connecting to the land is the highest goal. Journey along our Way of the Stones, hug the megaliths, immerse yourself in the art of our natural buildings, walk the labyrinth, leave a prayer on the Tree of Intention, re-member your ancestors at the Dolmen. Engage all of your senses. Listen to the sounds of life around you. Look at the beauty and wonder throughout the place. Feel the breezes and sunshine; touch the water in Basin Rock. Smell the fresh scent of the prairie and gardens of herbs and flowers. Savor the tranquility of this sacred site. At Kinstone you’ll be inspired by the sculpture garden of sacred stone spaces and artfully constructed natural buildings. Here you will find several stone circles, a dolmen, chapel, labyrinth, pond, dry-stacked sculpture, many standing stones, seasonal alignments and more. Every aspect of this environment has been lovingly arranged with intention and layers of meaning. The place naturally lends itself to meditation, contemplation, mindfulness, imagination and reflection. Like any work of art, there is always more to see and experience each time you visit. Every time you visit you soak up the spirit and energy of this place and you bring spirit and energy with you that works itself into this place – each encounter is an exchange of wonder. This is the true magic here. Thank you for visiting! Retreat offerings at Kinstone are currently being developed. Please check back for specific information about lodging possibilities as this process unfolds. Kinstone plans to offer undirected retreat opportunities for small groups or individuals who are undertaking a personal inner journey. Kinstone is non-denominational and non-sectarian. 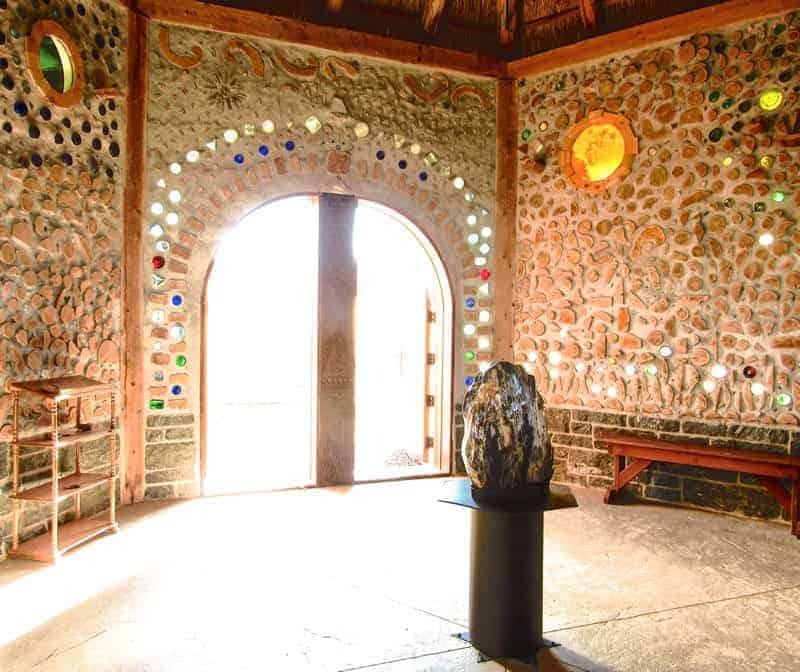 It is a sanctuary where relaxation, reflection and meditation in, on and with the land and sacred stone spaces lead to spiritual transformation and personal growth. 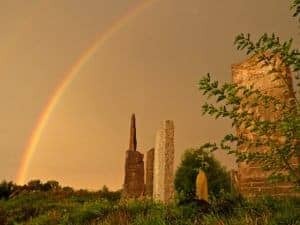 All those on retreat will have access to Kinstone’s sacred spaces, prairie, fields, and forests where the paths beckon and offer an outward manifestation of each one’s personal journey of contemplation and spiritual discovery. Anyone can be a pilgrim; anyone can make a pilgrimage; even you! Kinstone has a special path called The Way of the Stones. Those who seek it, walk it, or wander it find a wealth of spiritual symbolism and waypoints that help bring meditation, contemplation and reflection into focus. The Way of the Stones provides an opportunity to step out of the “over-culture” where we are always busy, to allow ourselves space for quiet and reflection. Walking this sacred path gives you the chance to get grounded and be open to new ways of growing emotionally, physically and spiritually. Click the “learn more” link to find out more about pilgrims, pilgrimages, and The Way of the Stones – a sacred, pilgrim path right here at Kinstone. Ecology is, in its most basic form, the study of ecosystems. The Kinstone Ecosystem is roughly defined as the geographic area inside, below, above and around the edges of its invisible boundary lines and includes all organisms in this space and their physical environment. Make no mistake, we understand that the impact of our actions and interactions extend far beyond any imaginary, human-assigned boundary lines – this makes the thoughtful care of the ecosystems that much more important! According to the Ecological Society of America, ecosystems provide many services: “These services include cleansing the water (wetlands and marshes) and air (forests), pollinating crops and other important plants (insects, birds, bats), and absorbing and detoxifying pollutants (soils and plants).” At Kinstone it is important to us that we do all we can to ensure the ecosystem is as healthy as possible and providing as many services as possible. This bluff top has been farmed since the 1860’s. We think of the farming that was done in the past as traditional farming of the outer landscape. We think of the farming happening here now as more tending of the inner landscape. We believe that the outer landscapes we live in are mirrors and reflections of our inner landscapes, infinitely intertwined. The stones and structures here serve to help us focus on our inner work while the land itself calls to be tended and attended with our sacred, spirit-filled presence. 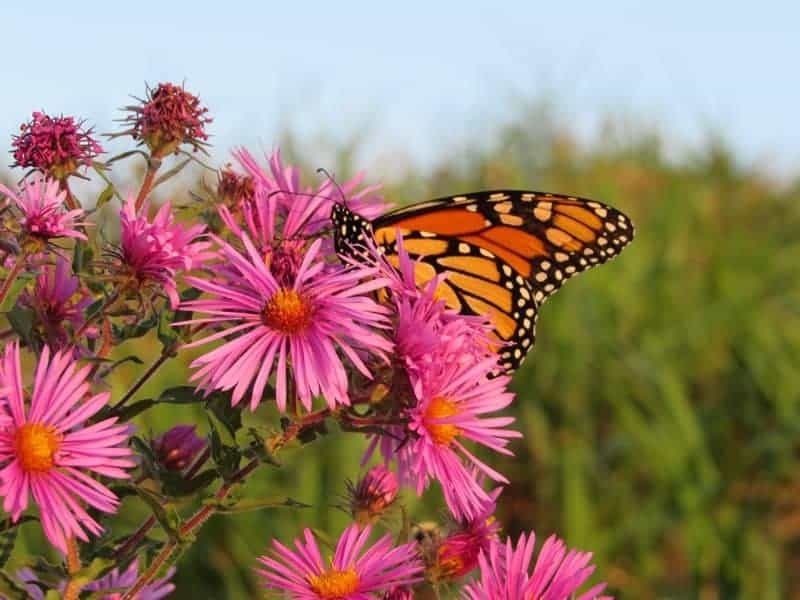 We plan to restore the remaining portion of land that is called “Kinstone” to native habitat similar to what it might have been like prior to the land being settled and farmed. This is a life-work and beyond that, generational work that transcends time. Kinstone is located on 4th generation family farmland. It is a bluff-top property that had fields and pasture that previously supported a small, family dairy farm. We are stewards of this land and we are always working on regenerating the land and reestablishing native ecosystems that likely existed prior to the farming done here. One of our main land stewardship tools is Permaculture. Permaculture is a system of design based on mimicry of natural ecosystems for creating sustainable human habitats, no matter where you live and no matter how big or small your living space may be. It is guided by three ethics: care of earth, care of people, and reinvesting any surplus back into the care of earth and people. Kinstone is a uniquely beautiful location for weddings, retreats, corporate meetings and more. We will work with you to create an event to remember.